page 87 various phyla of worms...among the phyla not mentioned in the book is Acanthocephala, the Thorny-headed worms. Their spikes have inspired better sticky medical tape. page 91: parasites. 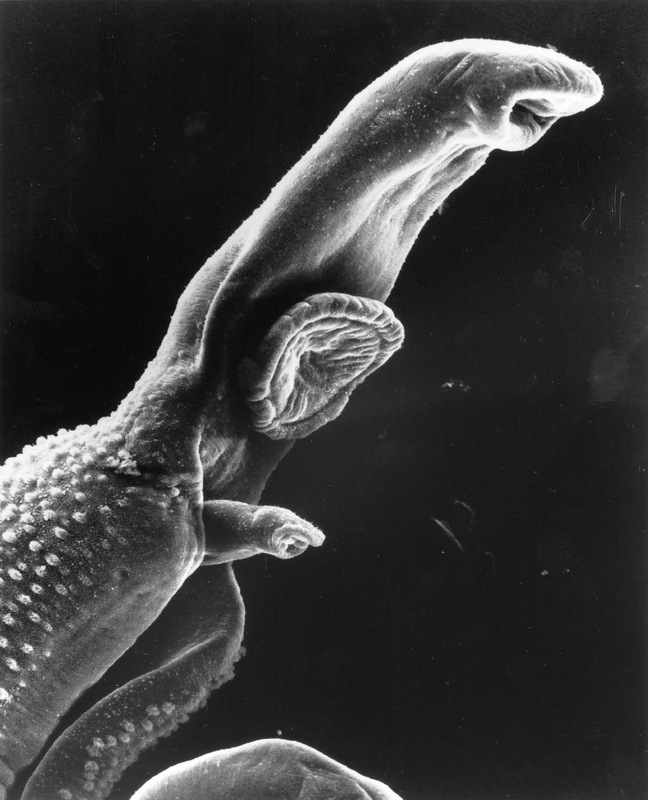 See Carl Zimmer on Blood flukes (parasitic flatworms) and the fountain of youth. A kind of parasitic flatworm, Ribeiroia, can cause a frog to grow debilitating extra legs. page 93: death. philosophical tangles and reflections from Jeff McMahan and John Broome and Stephen Cave. This is the seventh in a new series of notes and comments on chapters in The Book of Barely Imagined Beings. It appears around the time of the US publication, and adds to an earlier series that appeared around UK publication.